Part of loving the outdoor and feeling like you part of nature is knowing how to produce food. In our modern world, it seems like we have become completely separated from the core things that have made the human experience an adventure. For this reason, I feel there is a need to learn and practice some small scale farming techniques that I've been reading and learning about for years. Gardening is great, and I'll write about that here too, but Aquaponic farming is taking it one step further. Aquaponic farming uses the nitrogen cycle of fish and plants as a filter of water in as an end result, produces both in abundance. Earthscapes and Riverside Adventure Company naturally dovetail into this experiment as Earthscapes does lots of work with perishable plants and RAC does work with nature, survival, fish and outdoor adventure. Having this skill, is useful both capacities. 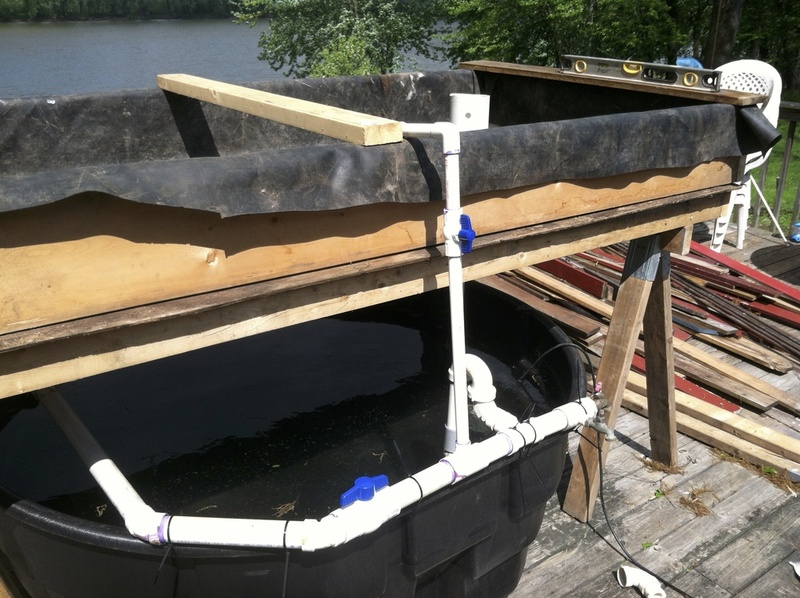 I'll post a number of photos and short articles about this experiment, and you can comment or potentially talk to me directly about how to begin your own aquaponic set-up. Usually for livestock, but not today. There is a ratio between water and garden square footage. If you don't balance the nitrogen cycle, it's an uphill battle. Black painted plywood, black hose, and a window. 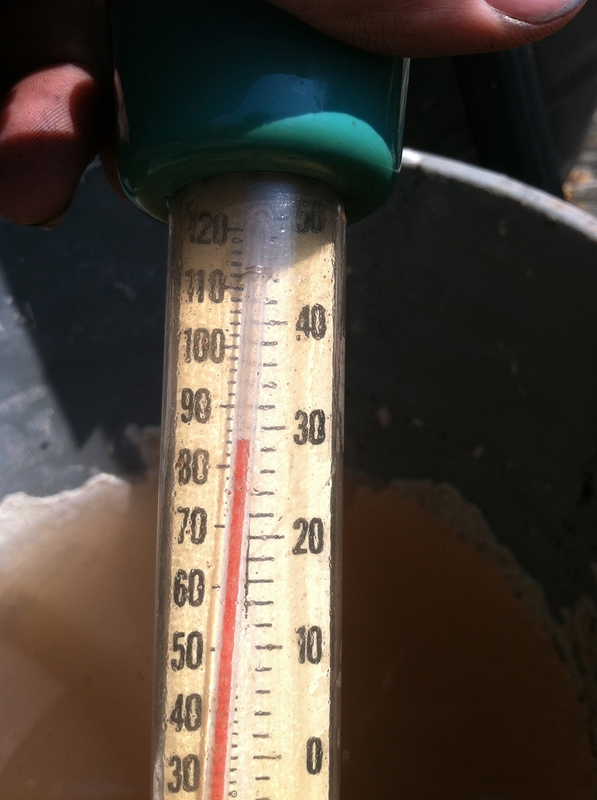 recirculating the water correctly takes a plan. 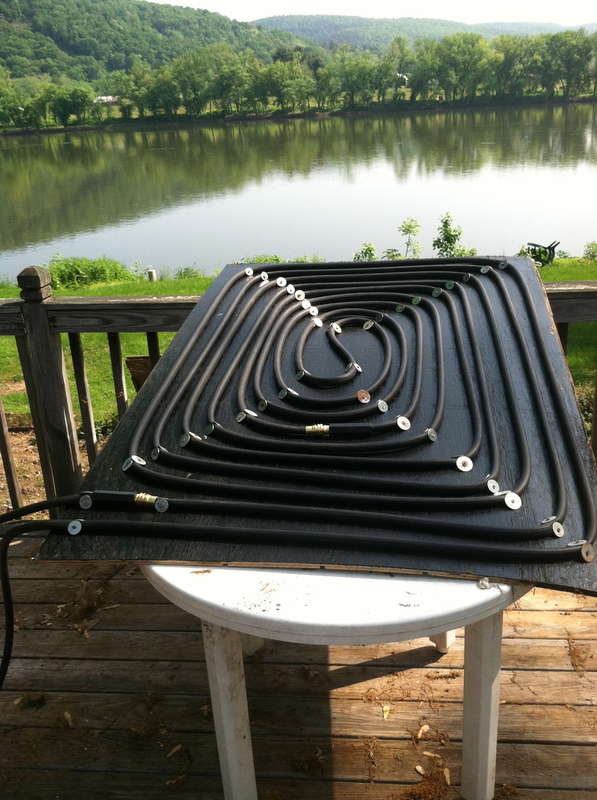 a simple machine that allows the water to cycle. Getting the water cycling properly. You need filter plants at the same time as fish. Tilapia will die if the water is not right. Transporting the fish was a learning experience. So here we go! Contant tweaks and learning time. Although they say stick to leafy vegitables, my peppers did well. Some of the early harvests. This thing got huge and had no bugs. Nice! The only thing added was a little salt to the water from time to time for pests. At this stage, I couldn't keep up with it. Far out producing my regular garden. I wrapped the water, and covered it to keep the fish warm in coming cold weather. Eventually, it was time to harvest the fish. Took some time, but they froze well. I could thaw out one of these containers per week in the winter months. Kept a few fish and tried to breed them inside using a vertical garden arrangement.